AlfaGene is an innovative biotechnology company that uses its own novel proprietary cutting edge adult stem cell technology to create the only stem cell and non-transformed primary epithelial cell derived model of each segment of the entire gastrointestinal (GI) tract. gastroesophageal reflux disease (GERD) and Barrett’s esophagitis. AlfaGene Bioscience can isolate and culture human adult stem cells, which can be further differentiated to produce pure non-transformed primary epithelial cell type specific cell lines representative of the multiple epithelial cell types which line the GI tract, from both the disease affected and unaffected normal tissue of the same individual suffering any GI disease, infection, or malady. The direct comparison of these paired cell lines facilitates the efficient rapid identification of cellular, molecular, genetic, and functional changes in stem and epithelial cells during disease development processes and thus allows identification of differentiating biomarkers, specific target molecules, and development of novel therapeutics. 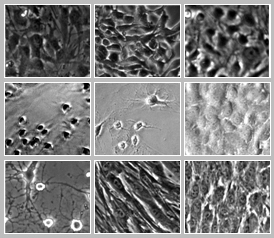 These cell lines also provide superior cellular platforms for drug discovery and testing and form the basis for personalized immunogenic free stem cell therapies. Copyright © 2007 AlfaGene Bioscience, Inc. All Rights Reserved.